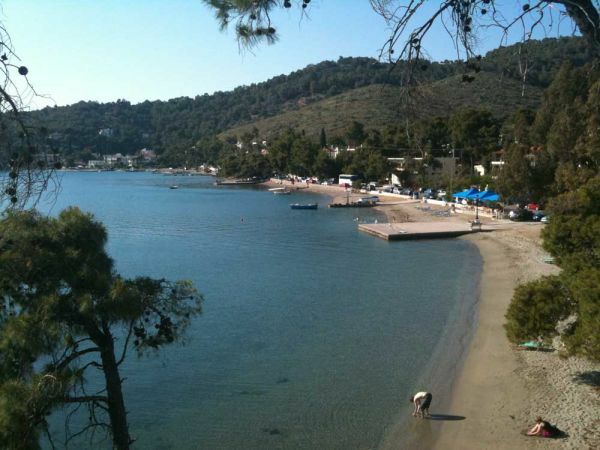 Neorion is a small tourist resort located in a large bay full of pine trees, at apx 2.5 km northwest of Poros Town (port). 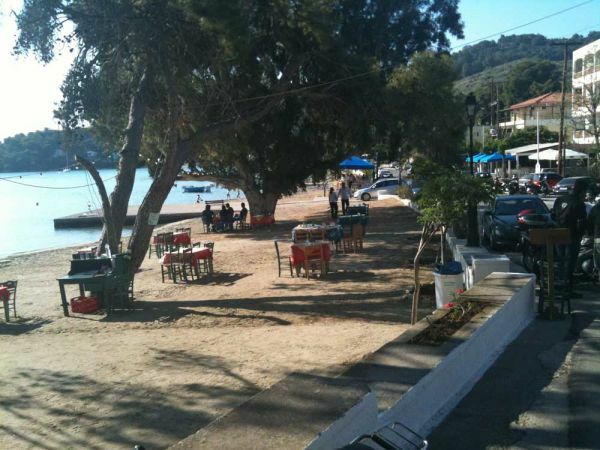 In front of the resort there is a coastal road and a popular long beach with sand and stones at some points. 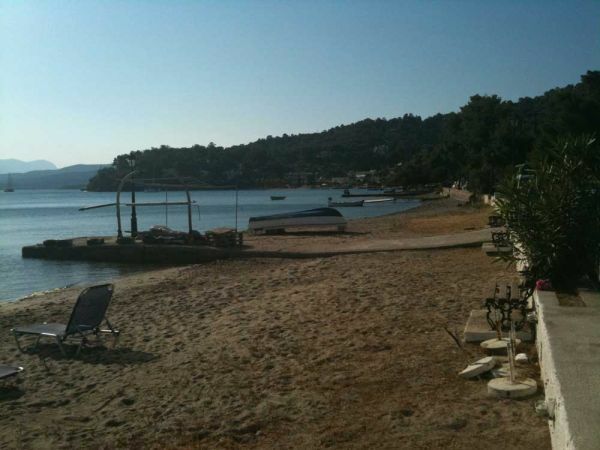 The beach is organised and offers also a windsurf / water ski school. 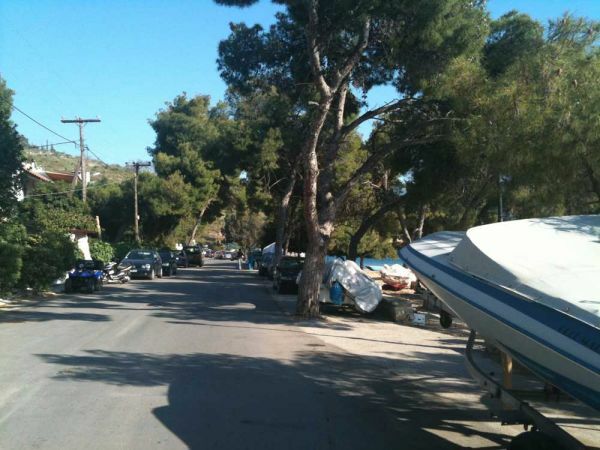 Neorion does not have any traditional character and is very busy during the summer, with many cars and motor bikes passing by its coastal road. 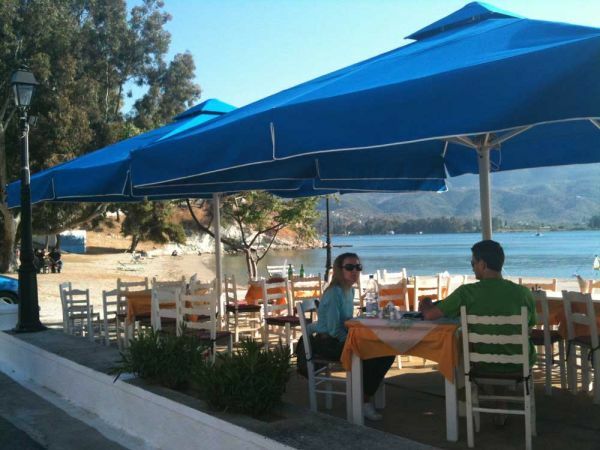 Hotels, rooms for rent, tavernas and a supermarket are also found on or close to the beach. 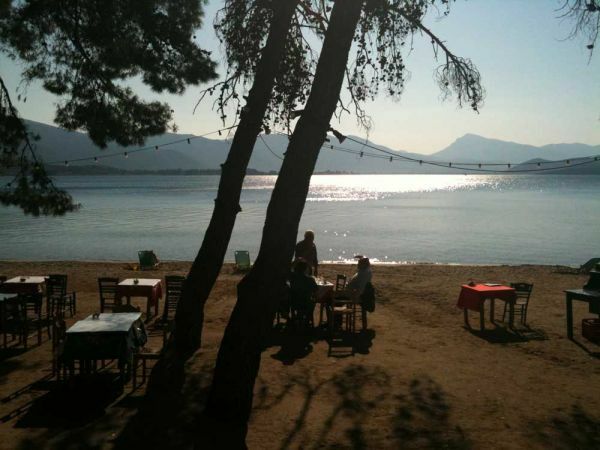 One of the best things to do in Neorion is to have a drink or a meal under the tall pine trees, at the tavernas that are found on the beach. 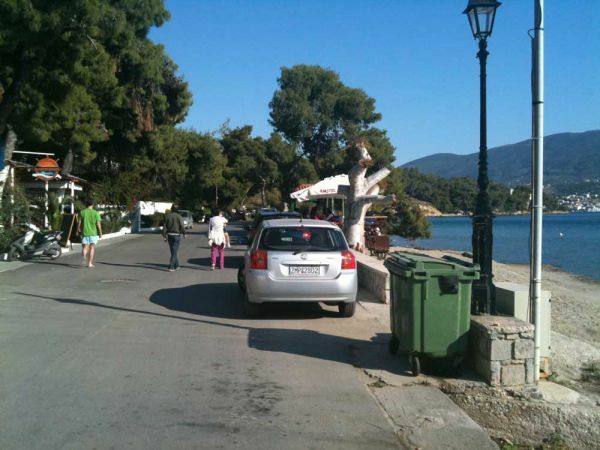 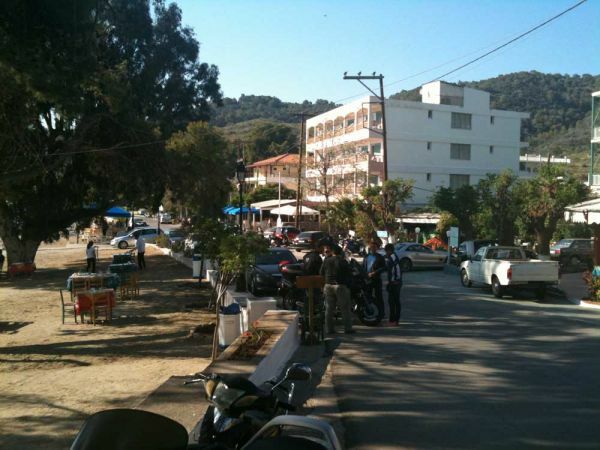 Neorio can be easily reached from Poros Town by bus, by taxi or on foot. 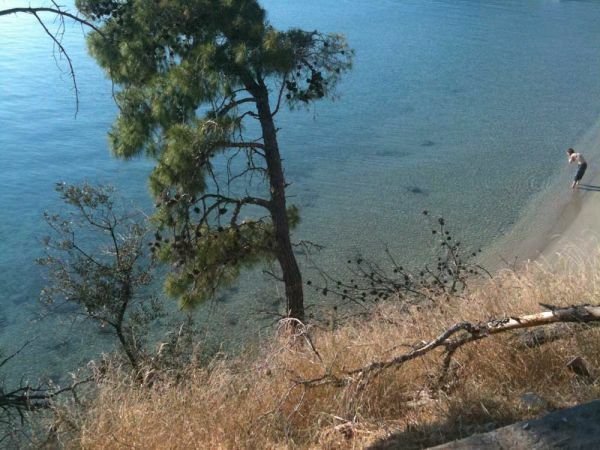 It will take you apx 35-45min through a nice coastal route. 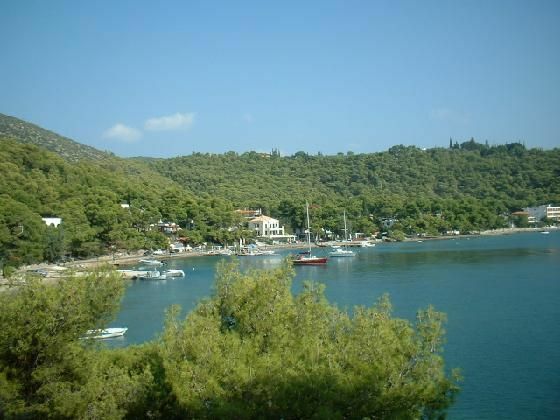 Neorio is found between the charming beaches of Kohylia and Love Bay . 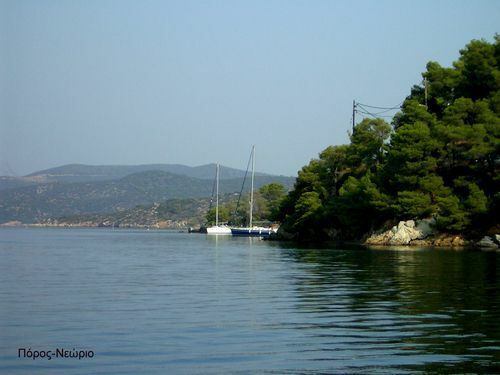 ANCHORING INFO: Neorion is a large verdant bay found inside the protected canal of Poros. 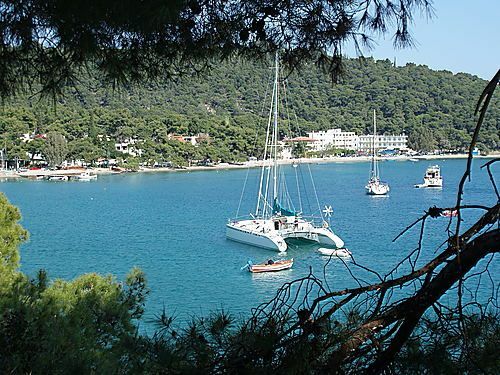 Many yachts anchor there, however there is frequent wash from the ferries, the ski school and the numerous boats that cross the canal, so it may be uncomfortable. 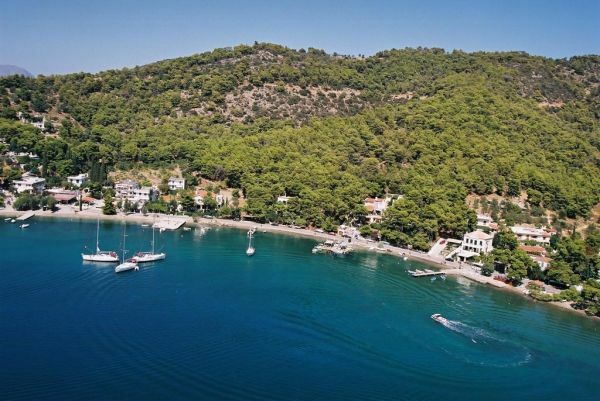 The setting is nice but not as picturesque and pure as the Love Bay or the Russian Dockyard beaches. 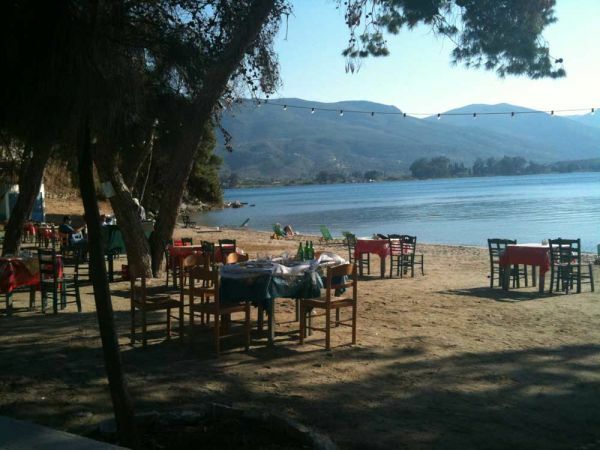 Many tavernas, hotels, a supermarket and a watersports school are offered on the beach. 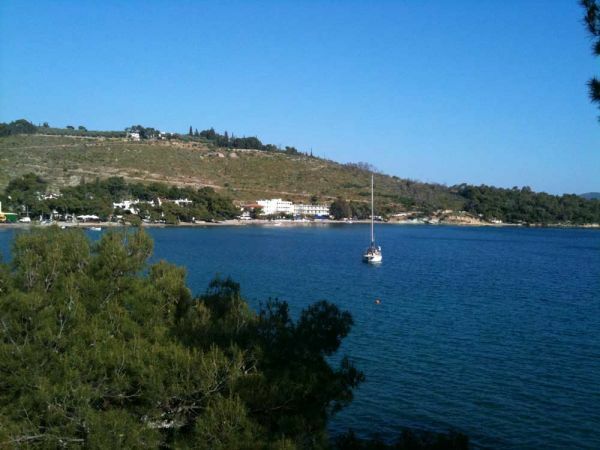 You can easily reach Poros Town (port) with the tender. 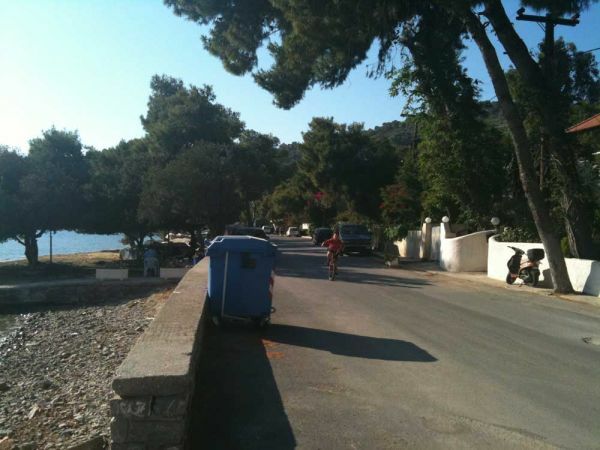 Otherwise you will need to walk for about 35-45min, through a nice coastal road. 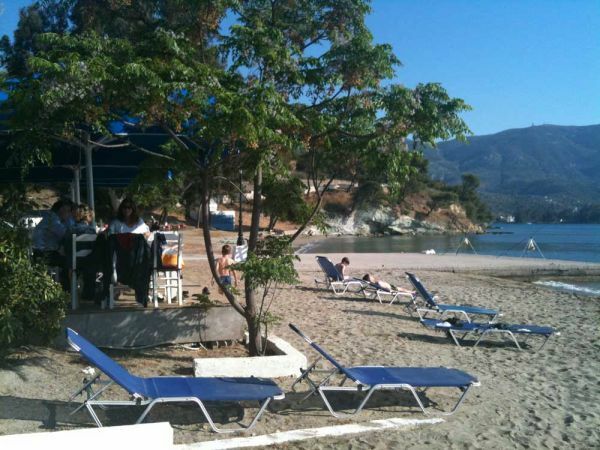 A small jetty is provided for disembarcation.